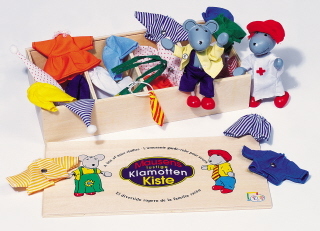 These two dress-up mice come in a fun wooden storage box with eight complete outfits. Mice are flexible. Box measures 10.5" x 5".